Bullying has been an American horror tale since the day the pilgrims came over and forced their way onto land that wasn’t theirs to take. Over the last two decades, high school bullying and domestic terrorism in schools has been a focal point of national media coverage on a weekly basis, it seems. Senseless violence tends to stem from senseless hatred or ignorance like a bacteria. From social media taunting to all-out massacres, there are monsters among us and it was only a matter of time before our entertainment outlets started using the bullying theme as stitching to weave a film with social commentary. All American Bully, written and directed by Jason Hawkins, is the latest in a growing list of films that are putting the spotlight on high school violence. The effects on the victims are obvious, but something this film also does is highlight what makes the bully tick. 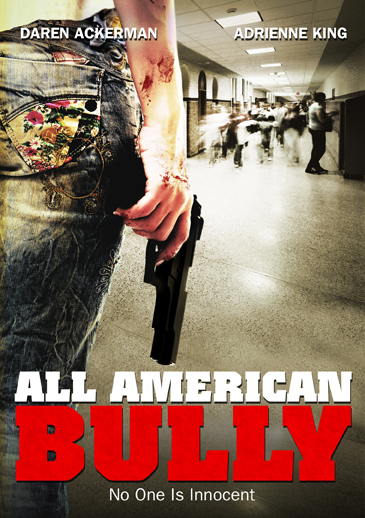 It’s rather easy to not show compassion for a bully, and while I didn’t find myself being sympathetic towards the antagonist in this film, All American Bully does a solid job of peeling back the tough exterior and showing that these monsters tend to be man-made. Devon (Alexander Fraser), Garrett (Darren Hicks), and Becky (Alicia Rose) are a trio of high school friends who aren’t necessarily vying for Prom King and Queen in their respective class. They are considered the outcasts, fans of video gaming and role-playing card games. A cruel act of immaturity leads to Devon becoming the literal punching bag of a homophobic attack by a group of fellow high schoolers, led by Devon’s childhood friend John (Daren Ackerman) who is now too cool to be hanging out with the likes of Devon and his pals. The beating is recorded and goes viral, quickly eliciting a response from seemingly everyone in the high school. Without much support from home (Devon’s father is wheelchair bound and suggests Devon take up sports and try to fit in rather than being so “different”), Devon is forced to decide whether he’s going to let the bullying continue or stick up for himself. Encouraged to take action by Becky, Devon plots revenge, involving a viral video of his own, but this only leads to more horror. 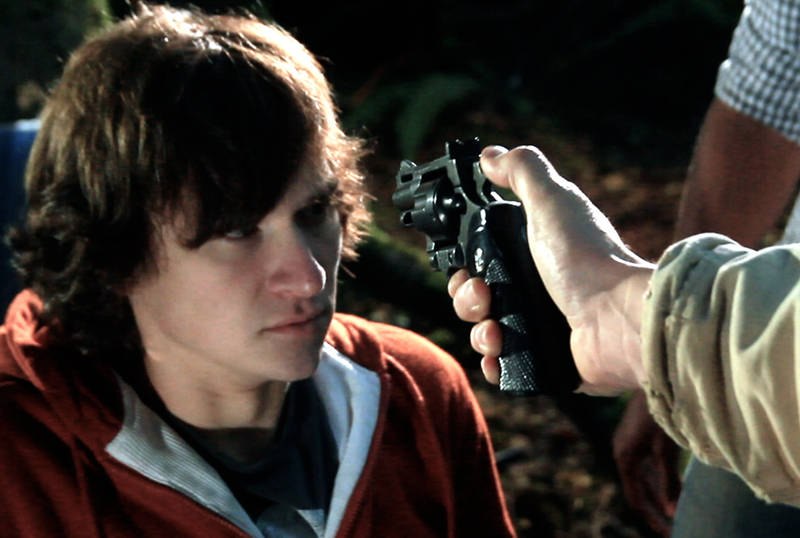 All American Bully is a film that shows us that bullies often begin as victims. John certainly wasn’t born to be a thuggish meathead nor was Devon born to become the person he becomes during the film. Horror icon Adrienne King (Friday the 13th) lends her acting chops as Principal Kane, a role that certainly wouldn’t have top billing on the film’s IMDB page if it wasn’t played by a genre legend, but a role that is pivotal to the film’s story all the same. King brings a real genuine touch to her character and it’s always awesome seeing a classic horror face get a chance to do something in a completely different role. 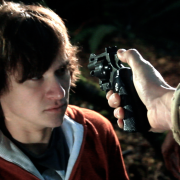 Like many independent films, the acting leads something to be desired from time to time. This isn’t a damnation against the men and women who worked tirelessly to create this film, it’s more a nod to the fact that indie budgets rarely have the luxury of bringing in professional actors. In particular, this film does suffer from this because of how serious and deep the story’s themes and agendas are. 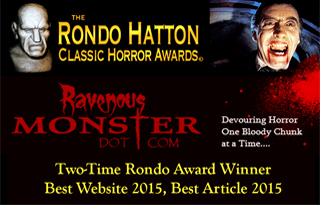 The characters are nicely developed overall and the script isn’t sorely lacking in any facet. All American Bully does not simplify the terrible epidemic of bullying in our society these days, nor does it glorify the damage done either by the antagonist or to the victims. It is a reserved and respectful approach to a problem that desperately needs to stop. Perhaps the best compliment I can give this film is that it should be considered for discussion amongst high school classes across the country and while there is a very upsetting scene that I had trouble getting through towards the end of the film, this is the harsh reality we live in and by spreading awareness of the issues at hand, we can hopefully work towards a society where bullying becomes the exception, as opposed to the expected.